This is it, this is the “Big Kahuna”. 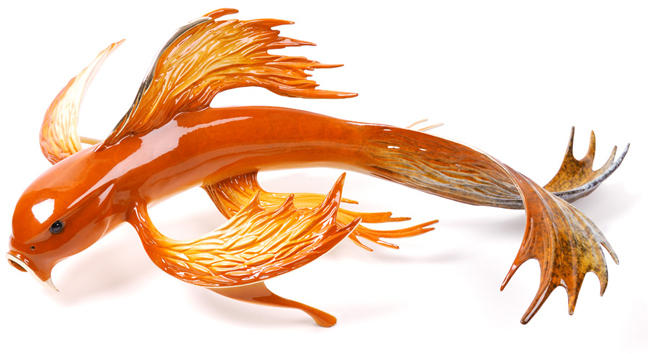 The largest butterfly koi sculpture that Tim Cotterill makes, this incredibly elegant and graceful limited edition bronze will be the focal point of any room. Display him on a black lacquer tray with a curving streambed of polished pebbles, or on a mirror so you can see his beautiful creamy belly patina. Wherever you put him, “Big Kahuna” is guaranteed to stop traffic.